In the early stages of the American legal system, most state judiciaries were separated into two types of courts – courts of law and courts of equity. An action at law is an action typically for money damages such as a tort or breach of contract. An action in equity seeks a remedy when there is no available remedy at law, such as, when money damages will not suffice. Over time, this distinction in the American legal system has largely eroded and many courts now hear legal and equitable claims together. No so in Delaware. Delaware’s Court of Chancery retains exclusive jurisdiction over claims and counterclaims rooted in equity and fairness. The Court of Chancery may, under the Clean-Up Doctrine, hear and decide ancillary legal matters to the main equitable claim. There is, however, no analogous doctrine in the Superior Court. One can imagine a scenario where a party finds itself defending a case in a court of law, yet wishes to assert equitable counterclaims. That is exactly what happened in SARN Energy LLC, v. Tatra Defence Vehicle AS, C.A. No. N17C-06-355 EMD CCLD, November 5, 2018. 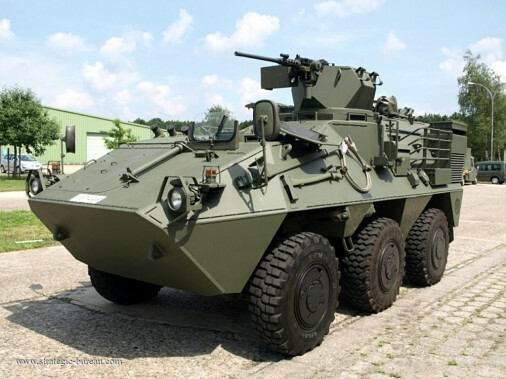 The parties entered into an agreement where SARN was to use its best efforts to help Tatra sell Pandur military vehicles to the Czech Ministry of Defense. SARN accomplished this goal and Tatra was able to sell 20 Pandurs for approximately $80 million. Tatra failed to fully compensate SARN under the contract and SARN brought suit for breach of contract. Before filing suit, but after SARN realized that Tatra would not perform under the contract, counsel for SARN sent allegedly false and disparaging letters to Tatra’s parent company, CSG, and the Czech National Security Office concerning alleged illegal actions taken by CSG. These letters were written on SARN SD3 LLC letter head. Tatra counterclaimed for, inter alia, bad faith and defamation. SARN moved to dismiss because SD3, not SARN sent the allegedly disparaging and false letters. Tatra argued that SARN may be responsible under an alter-ego theory of liability. The Court held that at the motion to dismiss stage, there was at least enough pled to allow discovery on the alter-ego theory of liability, however, the Court of Chancery, not the Superior Court, was the correct court to bring these claims. The Court dismissed the defamation and bad faith claims but stayed dismissal for 20 days to allow Tatra to transfer the counterclaims to the Court of Chancery. The Court noted that Tatra could have sought to have the Superior Court judge designated to preside in Chancery over the Counterclaims. To accomplish this, Tatra should have written to the Chancellor explaining why the designation is appropriate. The Chancellor would then write to the Chief Justice, and the Chief Justice would ultimately determine if such designation is appropriate. Tatra, however, did not seek designation and was limited to attempt the transfer to avoid dismissal.